Ryan’s Foundation has never had to say no to a family and child who needed support. 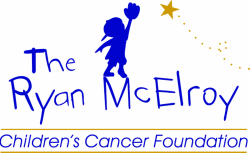 From 1998 to now, Ryan’s Foundation has helped more than 1,400 children and raised over two million dollars for children with life threatening illnesses. Ryan’s Foundation will do whatever takes to save the life of that child and ease the stress for the parents/guardians. Who is eligible to be helped? For those in need of help or know of someone in need of help, contact your social worker or primary care physician and have them call or e-mail Ryan's Foundation. We realize the sense of urgency in your request and will attended to it in a very timely manner.